Sony Pictures Television is spreading festive cheer to more Freeview viewers, with a coverage boost of film channel True Christmas. 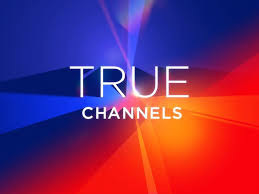 With immediate effect, the channel, which for most of the year is known as True Movies, has taken up vacant capacity on a national Freeview multiplex. It was previously only broadcast in regions where a local TV channel was carried on Freeview. The channel specialises in showing wall-to-wall US films, mostly of the made for TV type. Viewers may need to retune to see True Christmas on Freeview channel 62 (or in those areas where it was previously available, to restore access). It is available to anyone who can already receive services like Ideal World (channel 22), around 90% of UK households. At the same, Chart Show TV has had its coverage boosted, having previously only been distributed in Manchester. Piggybacking on the local TV signal, Chart Show TV can now be found on channel 75 in all towns and cities that have a local TV service on channel 7 or 8. Manchester viewers may need to retune to restore Chart Show TV. Chart Show TV is however only expected to be holding the slot temporarily, with the Chart Show TV Freeview licence replaced with The Vault. The changes have been made possible following service closures, which have created spare capacity on Freeview multiplex COM6/Arqiva B. YouView users will also benefit from the additional coverage boost.